David’s primary responsibilities involve selecting, planting and training the appropriate grape varieties for our microclimates. He has been growing grapes and apples for more than 20 years, and has been involved in the day-to-day operations of the business since its founding. He completed an internship at Prince Michel’s Winery one semester while studying engineering at Virginia Tech and completed several additional soil classes from Oregon State University. He initially learned many of his pruning and grafting skills from older orchard owners in the area, continuing to develop and refine those skills through annual workshops and training. He is an avid reader and believer in continuing education through workshops. He completed sensory wine training with the renowned Bruce Zoecklin, professor of Wine Science, formerly with Virginia Tech. 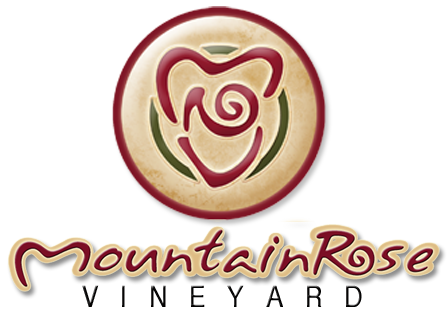 Suzanne has operated the tasting room for MountainRose Vineyards since her retirement from Wise County Schools, and has remained involved in the day-to-day operations of the business since its’ founding. She is responsible for product sales, including purchasing, marketing, advertising, event planning, and off-site tastings. Prior to working in the winery, Suzanne was the Director of Pupil Personnel Services for Wise County Schools for 26 years. In that position, she managed state, federal, and local programs and their respective funding in the millions of dollars. She also wrote and administered many discretionary grants, supervised a staff of more than 20 people, and was responsible for more than 100 classroom teachers. As an owner, Ron has been involved in the day-to-day operations of the winery since its founding. He does the majority of the record keeping activities for the winery and is responsible for our wholesale wine deliveries. He also serves as our Procurement Specialist. Ron was the Treasurer of Christ Lutheran Church for the past 25 years, and he is retired from Wise County Schools where he was the Broadcast Engineer for the Electronic Classroom. As our full time Tasting Room Manager, Opie is responsible for the majority of MountainRose Vineyards’ customer relations, from our tasting room to festivals and markets that we attend. She manages the majority of our social media marketing, special events, wine club, and monthly newsletters. She has worked in an array of fields including customer service, childcare and theater arts. During her time with a popular dining magazine in Wilmington, North Carolina, Opie developed a deep understanding and love of food and wine. Opie has been an integral part since joining the MountainRose family in 2009.